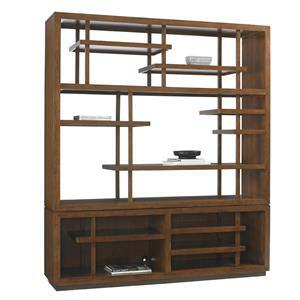 Create a room of balance and zen tranquility with this Pan Asian-inspired display shelf. 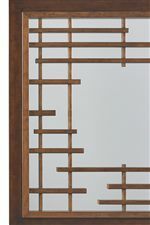 The beautiful open fretwork draws attention but doesn't overwhelm your space. 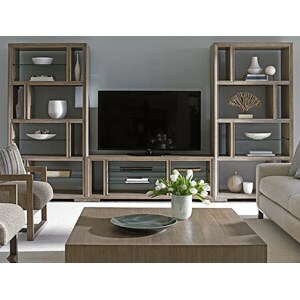 The shelf unit provides plenty of space to store and display your TV, speakers, and media components. 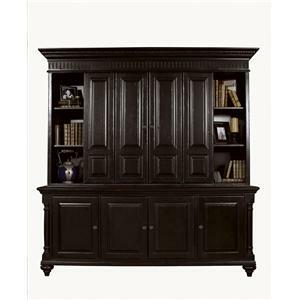 Additional shelves allow you to create a well-curated decorative display. 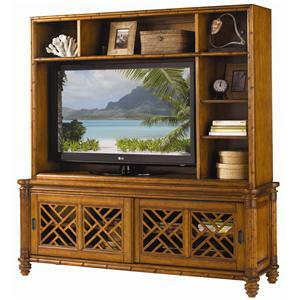 The Island Fusion Taipei Asian-Inspired Media Bookcase with Wire Management Openings by Tommy Bahama Home at Stuckey Furniture in the Mt. Pleasant and Stuckey, South Carolina area. Product availability may vary. Contact us for the most current availability on this product. 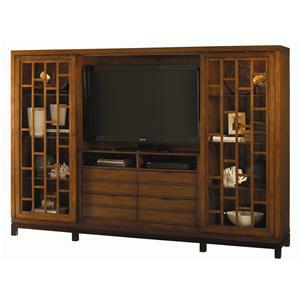 Storage TV compartment measures 57.25W x 37.875H. 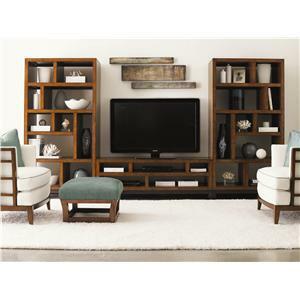 Upper Section Has 6 Stationary Shelves and 2 Removable Shelves, Lower Section Has Three Stationary Shelves. 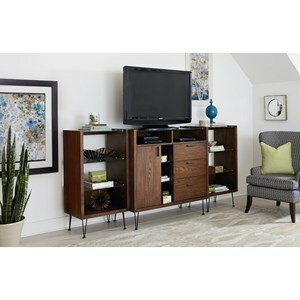 The Island Fusion collection is a great option if you are looking for Contemporary furniture in the Mt. Pleasant and Stuckey, South Carolina area. 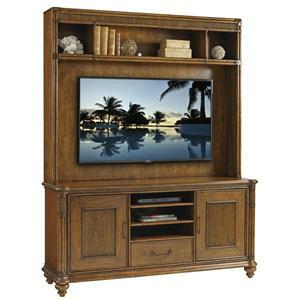 Browse other items in the Island Fusion collection from Stuckey Furniture in the Mt. Pleasant and Stuckey, South Carolina area.